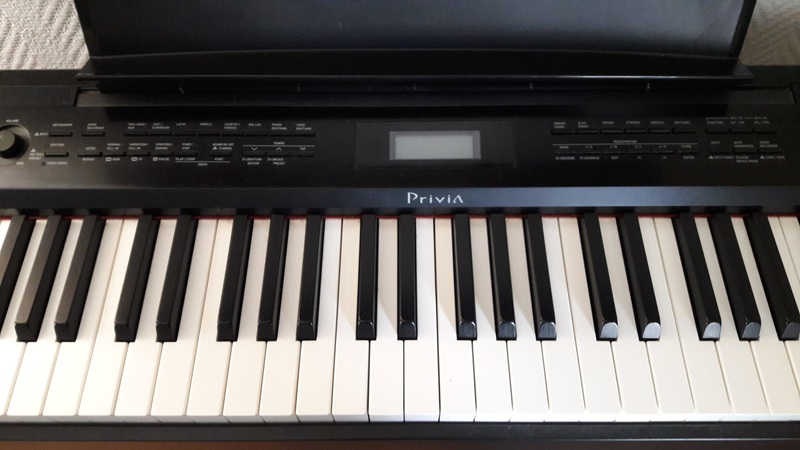 PX-350, Digital Piano from Casio in the Privia series. 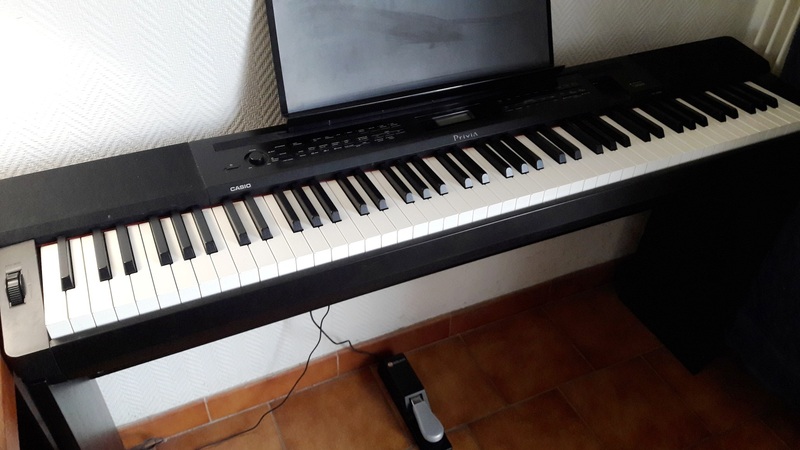 Makos's review (This content has been automatically translated from French)" A good digital piano + a good controller"
- Keyboard 88 keys "hammers"
Small screen control basic functions but readable. Accessible features (menus, settings etc..) Without headaches. Special mention to the keys and mechanical keyboard. 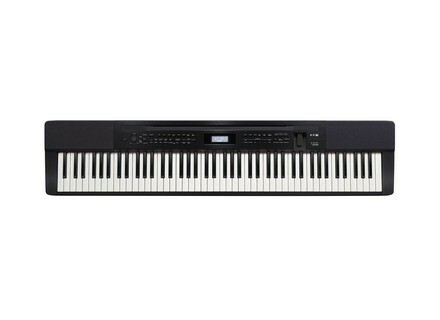 The PX 350 is, in my opinion, first a piano. A keyboard should I write because it has some very good piano sounds kind, organs, electric pianos. Its "extras" as arranger, sequencer and audio recorder are friendly to work, Laying out but do not represent the essence of the instrument. It is primarily a piano (digital). Quality is affected, in my opinion, are the highlight. I can compare it to others who have had their fingers in the keyboard "GHS" Yamaha, the "RH3" and Korg keyboard input range called "touched piano." I think it supersedes all these keyboards. On the one hand on the touch and mechanically but also the expressiveness possible. The evidence for this is that when I use it with Kontakt banks and piano sounds, I get game results and higher than what I got with the aforementioned keyboards nuances. Ditto on the orchestral sounds. This makes it a very good keyboard controller in the game only because it has neither buttons, sliders, or other programmable MIDI pots. So ... especially a good piano. 250 sounds are there to present the arranger ... to drink and eat. This is to remember the ten keyboard sounds. Very good piano sounds (concert or right), electric pianos, organs. The harpsichord is not bad, vibraphone ditto ... the rest is correct to poor. Obviously, when I call the keyboard sounds "very good", I do not compare them to a database of 10 GB sampler. They are, in any case, the level of competition. Even higher in terms of relative sound / quality / price as competitors are about 15-20% more expensive for the same level of benefits. Stereo embedded system side, it helps out but it is not very powerful ... if you do not plan to connect the PX 350 on an external system (stereo, console, amp), you may be disappointed, and most importantly, spend next to the sound quality keyboards, their dynamics. So on that side, just passable. Connected stereo amp or keyboard amp, the sound is at the rendezvous. 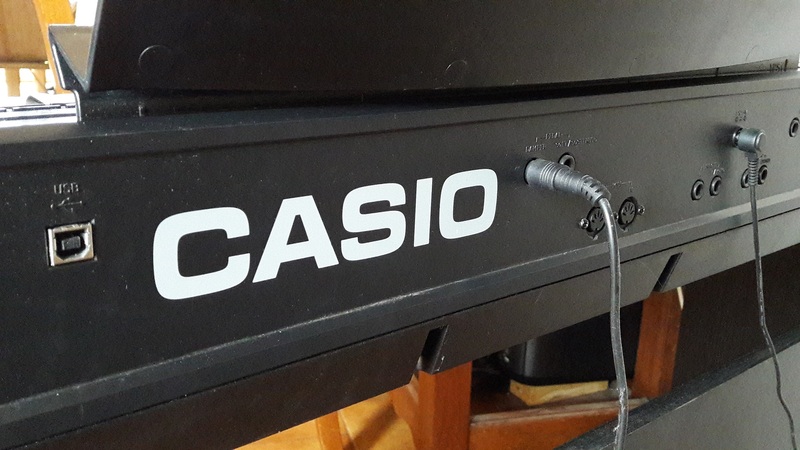 Depth, dynamic, all the subtlety of the game is pretty well transcribed by Casio. Rendering the headphones is also very good. It is a synthesizer, not a real piano, do not forget, but he is doing well ... credible and consistent. 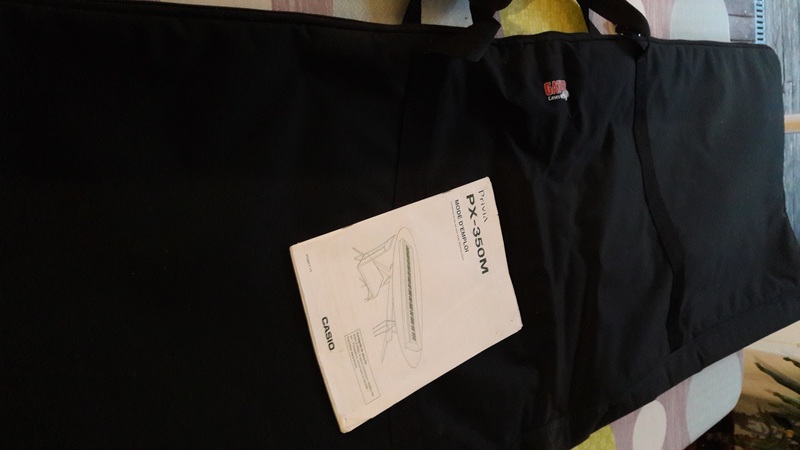 A good investment for a nomadic pianist (just 12kg), for an amateur or anyone who wants to manage its virtual instruments with a good piano touch. Very well placed price level, Casio is a good product. 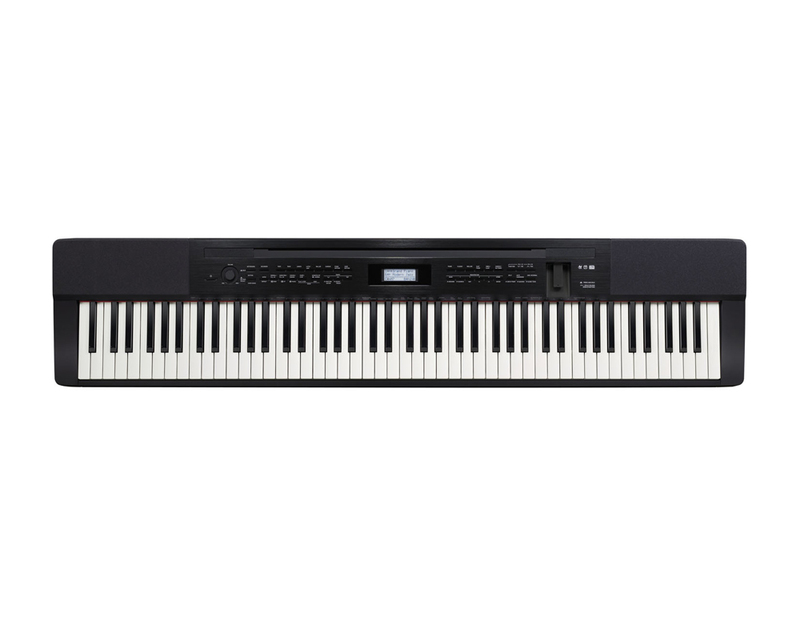 I even think that his "little brother" the PX-150 is still a better deal for those seeking only the basic functions of a digital piano without sequencer or arranger. The latter has the same keyboard very good and the ten keyboard sounds that hold the road. I recommend these two Casio PX150 PX 350 and without restraint. Luc Henrion's review (This content has been automatically translated from French)" I love!" 250 sounds, reverb & chorus effects, some possible changes but the essence is there. Sounds correct on average, in any case perfectly usable, even if we do not approach the realism of some synths that cost three times, there is no miracle either. With a special mention (hopefully!) for pianos and electric pianos, this is really a "piano" first. I have, and I was full of models before, including its predecessor, the PX320 already satisfy me a lot, especially considering the price, but now there is a world of difference for the PX350! what I love most: the keyboard and piano sounds. But the USB connection and there is even a built-in audio recorder (WAV 44/16)!